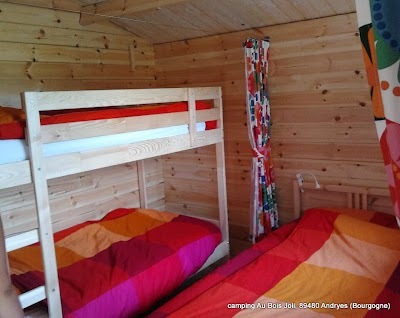 This chalet is 15 m2 and it is simple but cosy equipped for 4 persons. You’ll find an electric cooker, tableware, a coffee maker and an electric water boiler. If you are more than 4 people, you can install a smal tent near the chalet. You have to use the sanitary of the campsite. Pets are not allowed in chalet ‘Bonne Route’. The chalet is available from 11.30 o’clock until 9.30 o’clock the next morning. When to book for example chalet Bonne Route ? You have booked another rental on the campsite, but you don’t like travelling on Saturday. You can come a day before or stay another day when you book our chalet ‘Bonne Route’. You are tent campers but you want to take your tent dry with you when you go home and you want to leave early the next morning because of the ferries. 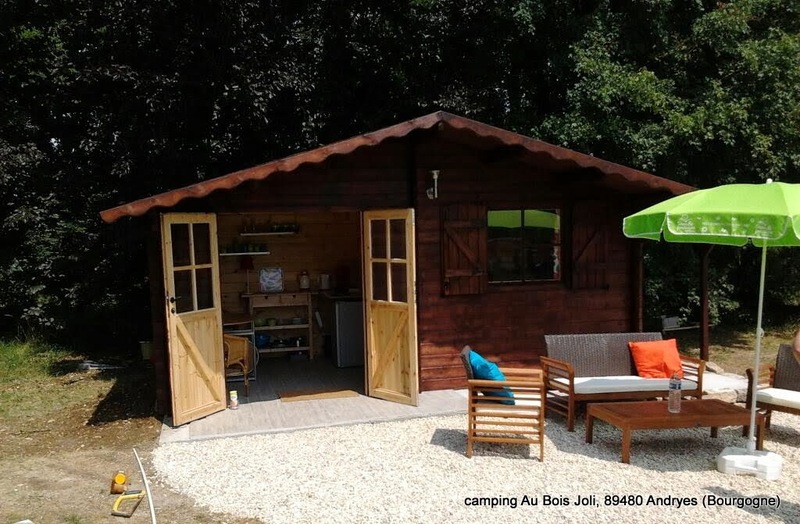 Book our chalet ‘Bonne Route’ for the last night of your stay and you’ll have a whole day to clean and tidy up your tent. The next morning after a comfortable night in the chalet you can leave at 8 p.m.
You are on a cycling tour and you want to have a little bit more comfort than your small ultra light tent offers to you. You are just passing through to another destination and you’re looking for an overnight stay. And of course… you can book our chalet for every simple reason you can think of ! Attention: we’ve only 1 chalet, so: booked is booked ! 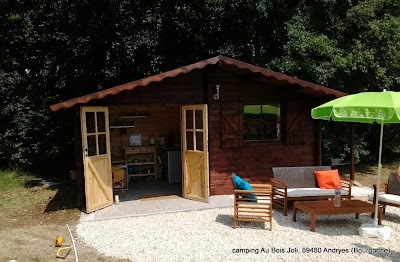 The Tourismtax of the COmmunity of COmmunes de la Puisaye has to be paid at your arrival on the campsite. 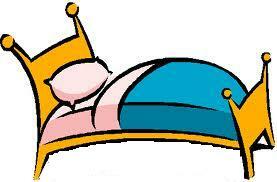 You don’t like making beds, but you want to sleep like a baby? Than our chalet ‘Bonne Route’ is really something for you! The beds are always made for your at your arrival. Do you like even more ease? Take our breakfast-service. For only € 9,50 per person you’ll have delivered a real breakfast at the chalet. Please ask it with your booking or order it during your stay on the campsite, every day for the next morning. The normal reservation conditions are appliable. The reservation fee € 12,50 for each reservation. When you make a campsite booking and the booking for the chalet in the same reservation, the reservation fee will be counted only once.